Systemic inflammation is involved in the development of several diseases, including cardiovascular disease and type 2 diabetes. It is known that vigorous exercise affects systemic inflammation, but less is known about exercise at lower intensities. Hyperglycemia can also entail pro-inflammatory responses; however, postprandial hyperglycemia is blunted if the meal is followed by exercise. 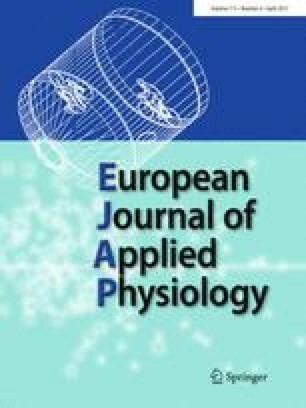 Hypotheses were: (1) moderate physical exercise acutely affects levels of C-reactive protein (CRP) and serum soluble vascular cell adhesion molecule 1 (sVCAM-1) in hyperglycemic individuals and (2) the effect depends on whether the activity is performed in a post-absorptive or postprandial state. Twelve participants diagnosed with hyperglycemia, but not using anti-diabetic medication, underwent three test days in a randomized cross-over study; 1 control day without exercise, 1 day with 60 min of treadmill walking ending 30 min before breakfast, and 1 day with an identical bout of activity 30 min after the start of breakfast. Food intake was strictly standardized and venous blood for CRP, and sVCAM-1 analysis was sampled at standardized timepoints during the first 3.5 h after breakfast and once 24 h later. Merged data from the two exercise days showed that sVCAM-1 increased from baseline (4 ± 16 ng/mL) compared to the control condition (−28 ± 47 ng/mL, ES = 0.7, p = 0.024). There was no statistically significant difference in changes in sVCAM-1 levels between the two exercise test days. Exercise did not affect CRP values. Moderate exercise increases sVCAM-1 in hyperglycemic individuals, whereas it does not affect CRP. The online version of this article (doi: 10.1007/s00421-017-3576-2) contains supplementary material, which is available to authorized users. We acknowledge Tine SA and Fjordland AS for supplying us with food for dietary standardization. Thanks to Kathrine Kroken and Olav Andreas Tuterud Nordølum for their contribution to the data sampling.